Close Encounters of the Fred Flintstone Kind. Spaceship lands in the town of Bedrock. 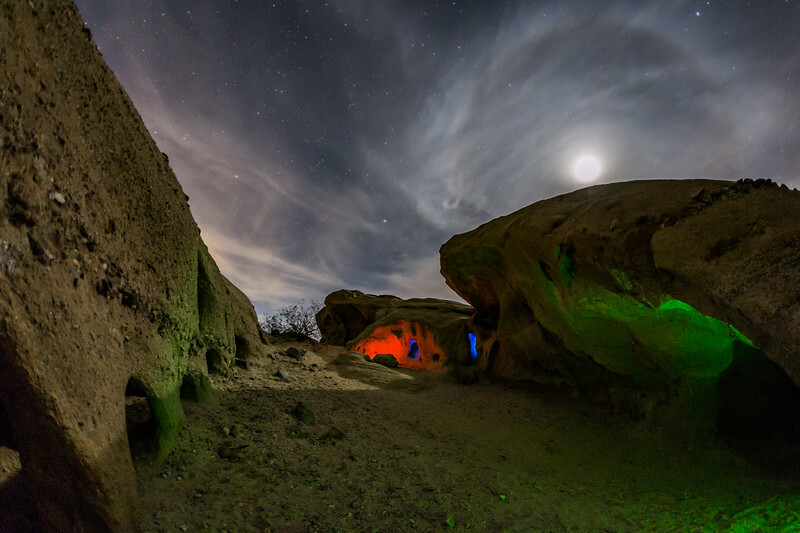 This not Photoshop work - I used colored glow sticks to light up the sandstone here.